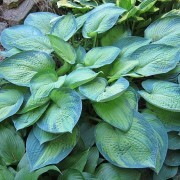 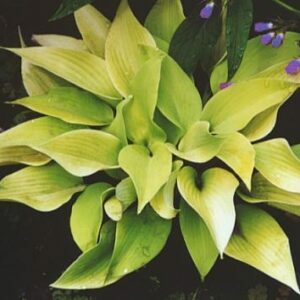 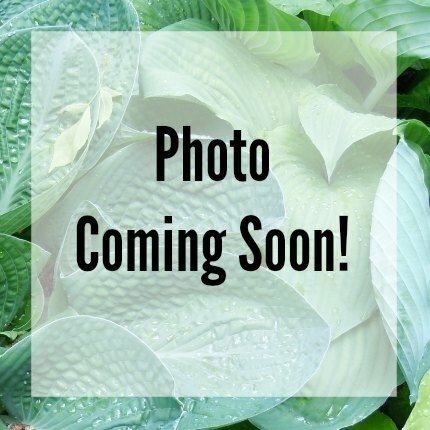 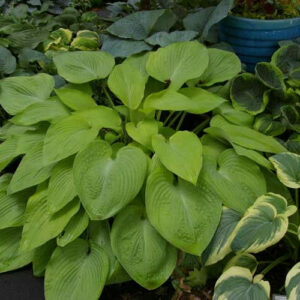 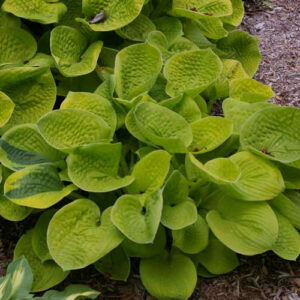 Moonlight Sonata Hosta – Metallic, shiny green leaves that are cupped, corrugated, and have a wavy margin. 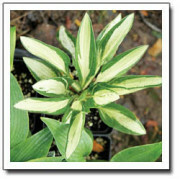 Large, fragrant, near white flowers are produced on 30'' scapes in July/August. 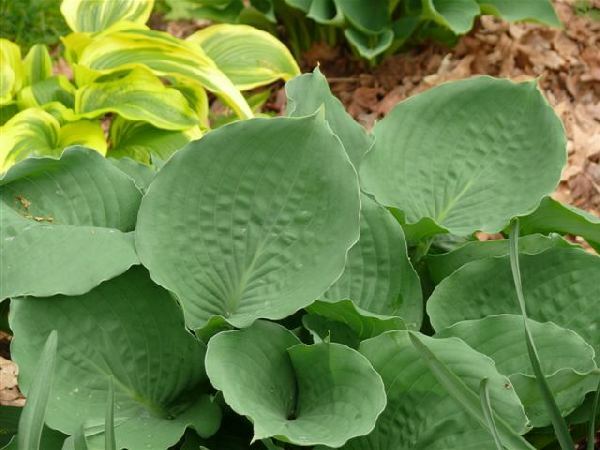 Large: Metallic, shiny green leaves that are cupped, corrugated, and have a wavy margin. 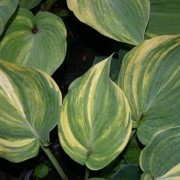 Large, fragrant, near white flowers are produced on 30” scapes in July/August.